Features: AstroTurf pitch with football goals and basketball nets. This walk runs parallel to the main road so during peak hours your soundtrack will be the din of traffic. With regards to safety and young children, a fence and some greenery provide a safe gap between the two making it ideal for small wheel users. Overall this walk is very well utilised by locals and provides a safe off-road option for buggies etc. 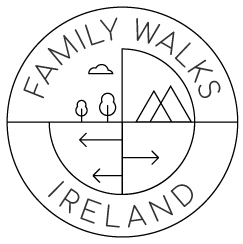 While it is listed under the Slí na Sláinte walks it does not reveal itself when searching for accessible walks in the area thus making it more difficult for visitors to find.